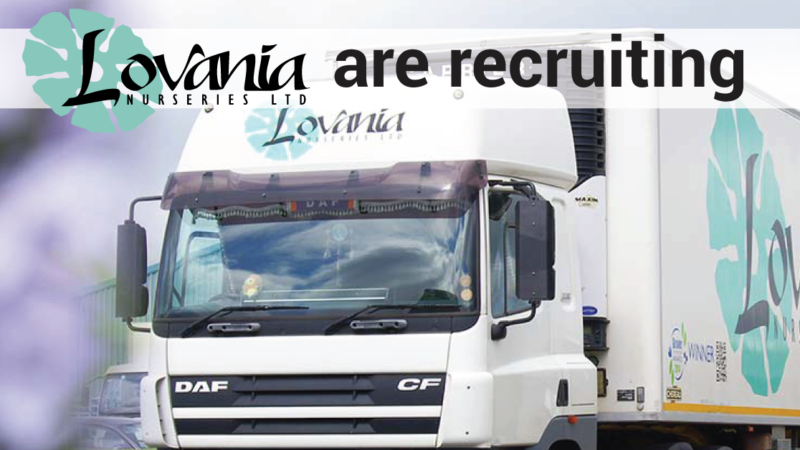 Class 2, seasonal post 3-4 months , utilising a 7.5 ton vehicle, hiring immediately, please contact Lovania Nurseries Reception on 01772 817 030. Working closely with our Production Manager and Logistics Manager, the Logistics Supervisor will ensure all product is transported to sites efficiently. The ideal candidate will be extremely well-organised, flexible, be able to work at a fast pace and under pressure, experienced in managing vehicles and also in managing others. Closing date for applications is Sunday 14th April 2019.